As part of a recently announced deal, the electronics retailer will open sales locations in 200 Carrefour hypermarkets across China. French retailer Carrefour is teaming up with Gome Retail Holdings in a deal that will see the latter open "shops-within-shops" in more than 200 Carrefour hypermarkets in China by the end of July, according to a joint statement. Gome's offerings in Carrefour stores will include best-selling home appliances, smart devices and other consumer electronics. Thierry Garnier, president of Carrefour Asia, said on Wednesday at a media briefing that the partnership is expected to enhance its new business and the company will continue to experiment with innovations for the China market. "We will keep an open mindset and will be seeking more collaborators in areas where other players have more capability and expertise while we stay focused on food and fresh goods categories," he said. The Gome outlets will occupy about 300 to 500 square meters inside Carrefour hypermarkets and the partnership will also leverage the foot traffic from Carrefour's existing stores. 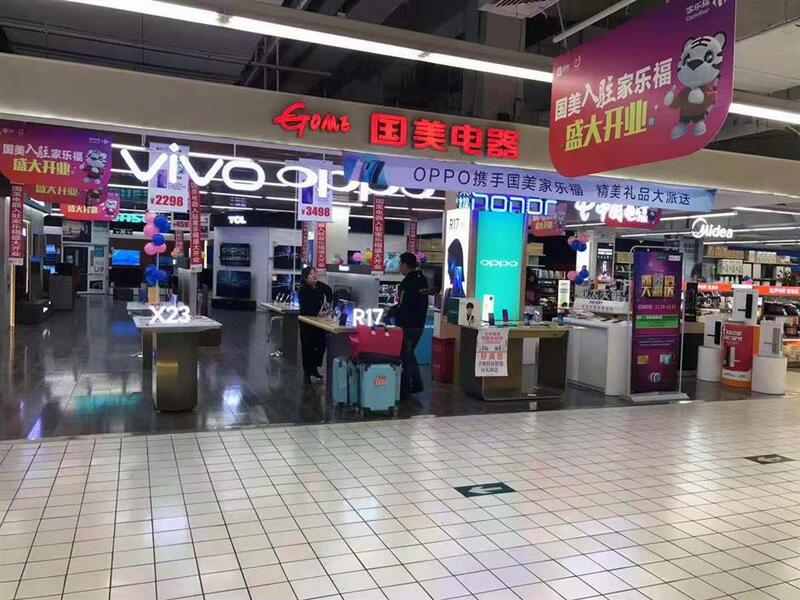 Gome will offer its expertise in big-ticket appliance and consumer electronics, logistics and customer services while Carrefour will add to efforts in product promotion and marketing. A recent trial of Gome shops in 11 Carrefour stores covering four cities has delivered positive results, including double-digit growth in like-for-like store sales. Wang Junzou, president of Gome Retail Holdings, added that the future of retail will see an increasing integration of the brick-and-mortar stores with warehousing and delivery capablities to offer a swift shopping experience.